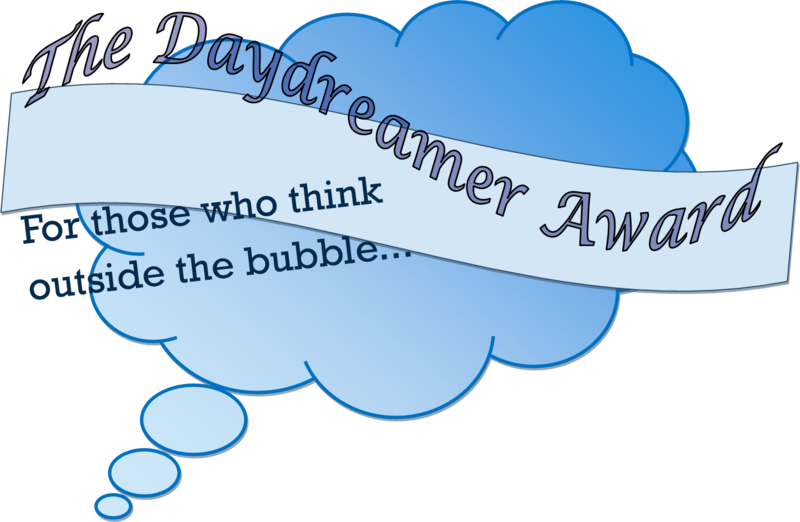 Our bloggy friend Caitlin the Teen Daydreamer has nominated this blog for her prestigious Daydreamer Award, reserved for blogs that ‘make you laugh, are inspiring, provoke your curiosity or are just unbelievably creative’. Thank you, Caitlin – coming from someone as funny, inspiring and creative as you, that is a real compliment. Complete the challenge they set you. Tell them about it and set them a challenge. Please include the rules in your post. 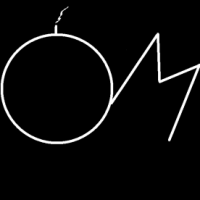 You can use the above logo for the award. Your challenge, should you choose to accept it, is this: If you could wave a magic wand and make one thing disappear from Planet Earth forever, what would it be and why? My challenge was: If you could create an app, what would it do and what would it be called? Being a dog I don’t really do technology, but I reckon an app that could translate dog language into audible English would be incredibly useful. 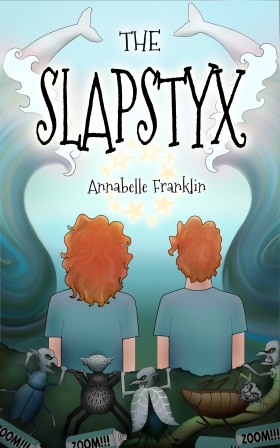 I communicate my blog posts to Annabelle via smellepathy, but it’s a slow and painful process – NOT being a dog, Annabelle’s smellepathic receiver is pitifully inadequate – which is why I don’t get to post that often. If my ‘voice’ could come out of Annabelle’s phone speaking fluent English, I might get to post every day like our more prolific followers. Believe me, I’ve got a lot more to say than you ever get to read on this blog! This app would be called DogWord. I think Pearl would find it useful, as well – she always has plenty to say for herself! 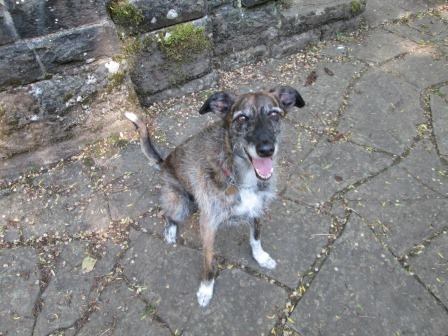 This entry was posted in Millie and tagged Dogs, Humour, Inspiration, Lurcher, Pets, Recreation. Bookmark the permalink. I think most dogs would love it – as long as the humans didn’t use it while their dogs were having a private conversation. I don’t think Millie or Pearl would want to hear what cats were saying to them, either! Maybe we could create CatWord as well? Oh, what I wouldn’t give for an app like that, Millie! 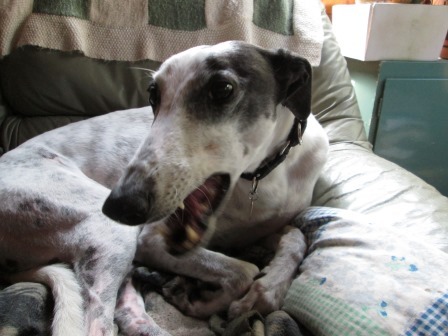 I want so badly to understand every single word and thought that goes through my hound’s head. When I think of the conversations we could have. And no more misunderstandings. Yeah, I vote translation app. Yes, who would need ‘dog whisperers’ with an app like that?! Congratulations on the nomination all! And the app sounds like a winner–at least in our house-Jack Henry says “four bones” and paws up! 😀 I’m sure he’d say a lot more if he had DogWord! We think there would be a high demand for this app if it existed – its creator would soon become a millionaire. A brilliant idea. If my dogs had this app they wouldn’t have to stand on my chest and stare at me with the evil eye to let me know it’s dinner time. 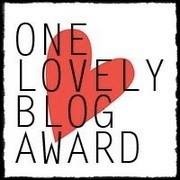 Congrats on your award and I must go and look at the other blogs! Thank you. We love your drawings – straight out of dream time! I OF COURSE nominated you too 🙂 I love this blog too much to not!